The flu, or influenza is a type of viral infection affecting the respiratory tract, particularly the throat, nose, and occasionally the lungs. 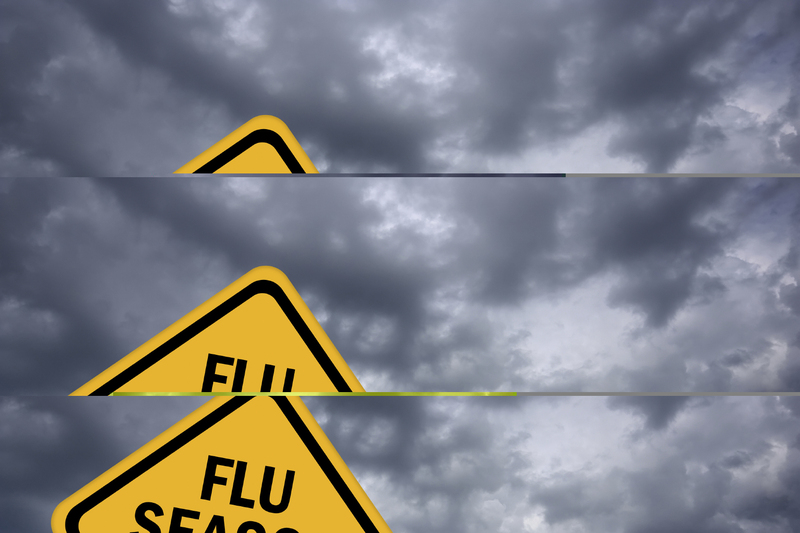 There are annual flu outbreaks and these tend to occur around the same time of the year and experts predict that the flu season in 2015 may be severe. When the flu starts affecting those around you or yourself, you will want to know how long does the flu last without medication, to help you decide whether you need treatment or just to rest and take enough water. The following 5 commonly asked question about flu will help you prepare for the flu and recover more quickly. 1. What Is Flu? And What Is the Difference Between It and a Cold? Before asking "how long does the flu last without medication", it helps a lot if knowing what flu is. The flu is a type of extremely contagious respiratory condition that is caused by either influenza A or influenza B, each of which is a virus. Flu season typically lasts from October to May and the virus attacks a person’s body and spreads through the lower and/or upper respiratory tract. Both the flu and common cold are contagious viral infections affecting the respiratory tract. They have similar symptoms, but the flu tends to be significantly worse, even making it hard for you to get out of bed. Both illnesses require getting plenty of rest and drinking water, but over-the-counter pain relievers can help the flu, while they won’t affect the cold. You can clicke the differences between the flu and a cold to know more differences between these two conditions. 2. How Long Will the Flu Last If You Don’t Take Medication? 3. How Long Will the Flu Be Contagious After Fever Breaks? Many people wonder how long the flu contagious is after fever breaks, as they want to know how to care for themselves or family members without spreading the condition. Unfortunately, whether or not you have a fever, your flu will be pretty contagious, with a risk of giving it to anyone within six feet of you. Experts believe that the flu virus spreads via infected droplets produced when talking, sneezing or coughing. The droplets then land in/on the noses or mouths of those nearby, or are inhaled into their lungs. In rare cases, someone will get the flu from touching an infected object before touching their nose or mouth. The majority of healthy adults can infect others starting about 1 day before they start showing symptoms, remaining contagious for 5 or 7 days after they get sick. Children are affected longer, who can pass on the virus for over 7 days. Symptoms typically appear between 1 and 4 days after the flu virus enters your body, so you can typically spread the flu without realizing you are even sick. It is even possible to become infected and not show any symptoms, but be able to spread the virus. 4. Does Tamiflu Prevent You From Being Contagious? Another common flu question is "does Tamiflu make you not contagious?" In reality, Tamiflu doesn’t prevent the bacterial infections associated with the flu; instead, it is simply used to treat influenza in those who are at least 2 weeks old and have been showing symptoms for less than 2 days. The medication is able to reduce a person’s risk of getting the flu if they are at least one year old, but you need to be aware of the numerous safety cautions related to the medication. Anytime that you have a severe rash or allergic reaction to Tamiflu, you need to stop taking the medication and visit your doctor. Tamiflu may not be ideal for those with medical conditions including kidney problems, weakened immune systems, breathing problems, heart problems, or those who are pregnant or nursing, so talk to your doctor before using it. Let your doctor know about your current medications before taking Tamiflu and whether you recently had a nasal-spray flu vaccine. Common side effects of Tamiflu include mild or moderate vomiting and nausea, stomach pain and diarrhea. Get vaccinated. The CDC (Centers for Disease Control and Prevention) recommends that anyone over 6 months gets an annual flu vaccination. The seasonal vaccination protects against the top three to four viruses which experts predict will be the most common within a given year and is usually available as a nasal spray or injection. Build a germ barrier. Because the flu passes easily between people, following hygiene tips can reduce your risk. This means washing your hands using soap and warm water whenever you touch a potentially germ-covered surface or shake hands, keeping a hand sanitizer that is alcohol-based with you, keeping disinfectant wipes on hand to clean surfaces before touching them, and never touching your nose, eyes or mouth without washing hands. Follow a healthy lifestyle. By staying healthy, you can keep your immune system in top shape, giving it the necessary strength to fight off germs and the flu. To achieve this goal, exercise four days each week at a minimum, follow a balanced diet, and aim to sleep between seven and nine hours a night. By doing this, your body should be strong enough to fight off the flu.